bringing hope, transforming lives, changing nations. Fund a Farmer, Feed a Nation! Here are some of the 351 children we’ve been supporting. 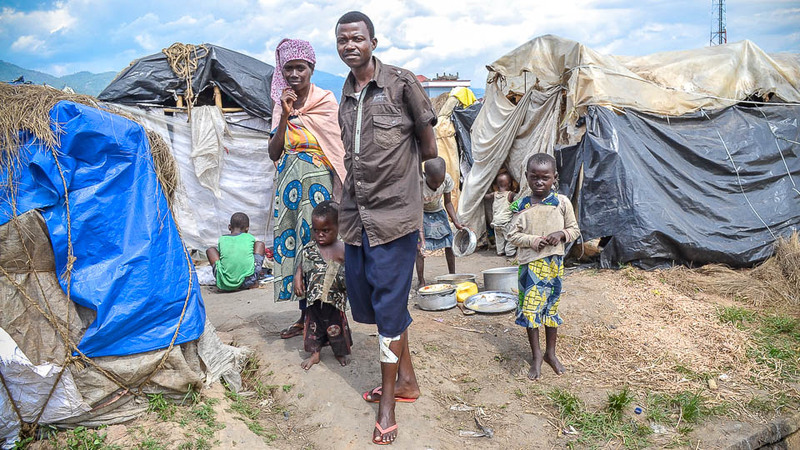 They are living in pitiful conditions in a camp for displaced people in Burundi. The highlight of their day is the arrival of milk. 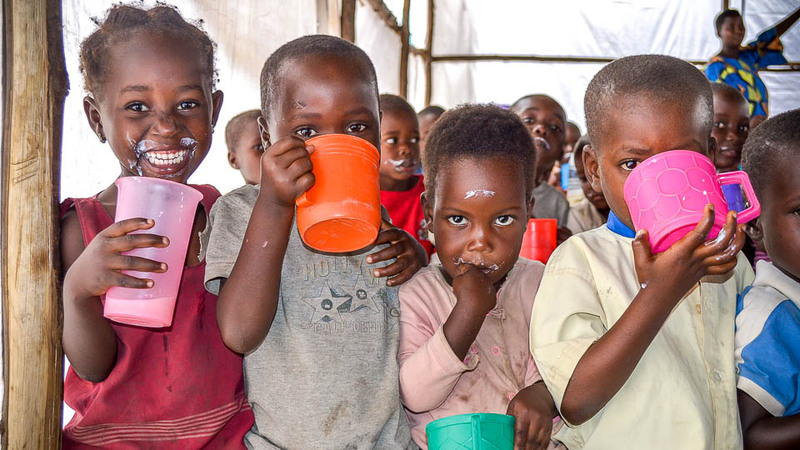 Each day at around 10am, each child receives a cup of freshly pasteurised milk, supplied by the Milk for Transformation enterprise. 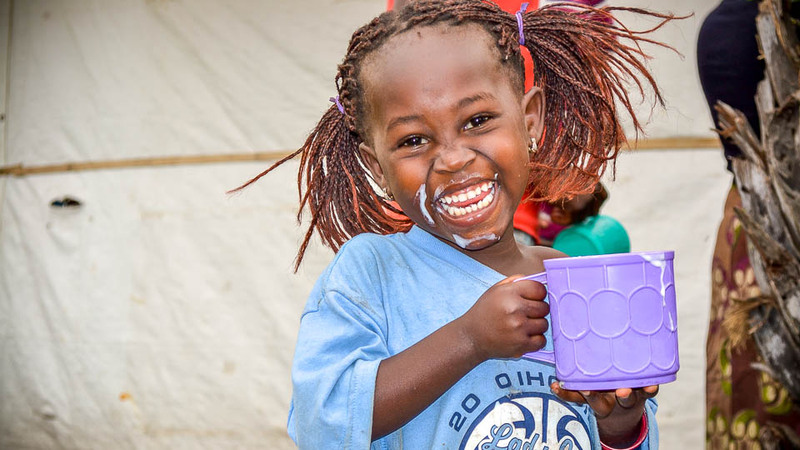 This is no luxury but a vital source of nutrition which, without a doubt, is helping to prevent malnutrition. There are over 250 families living in the camp and many of those have now been displaced for over 10 years. That’s 10 years of ‘existing’, of trying to survive, entrenched in poverty, robbed of dignity and with very little hope of anything ever changing. Through no fault of their own, these families haven’t had the means and opportunity to sustain themselves. They have been trying to fend for themselves but with virtually no assistance or support from anyone. They have even become known locally as ‘the forgotten people’. 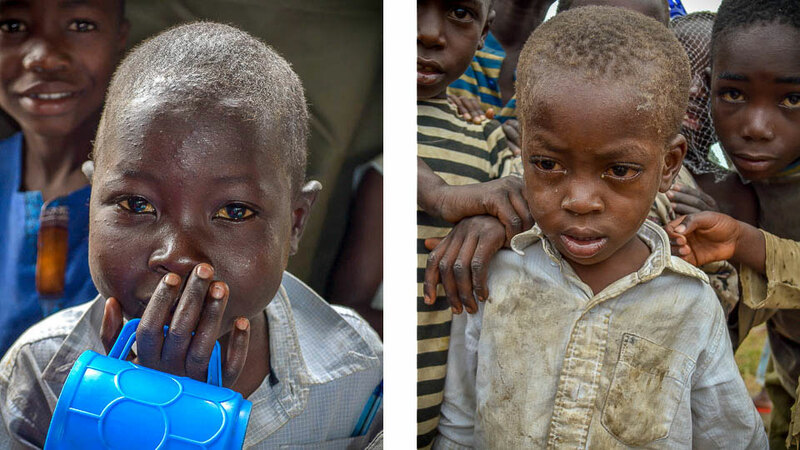 Hope for Tomorrow Global first became involved in 2014 following a natural disaster, when severe flooding hit the city of Bujumbura, close to Lake Tanganyika. We’d heard how over 800 people had moved to a small piece of land on the outskirts of the city after they had lost their make-shift homes by the lake. We went to visit and were shocked and appalled by the conditions the families were living in. 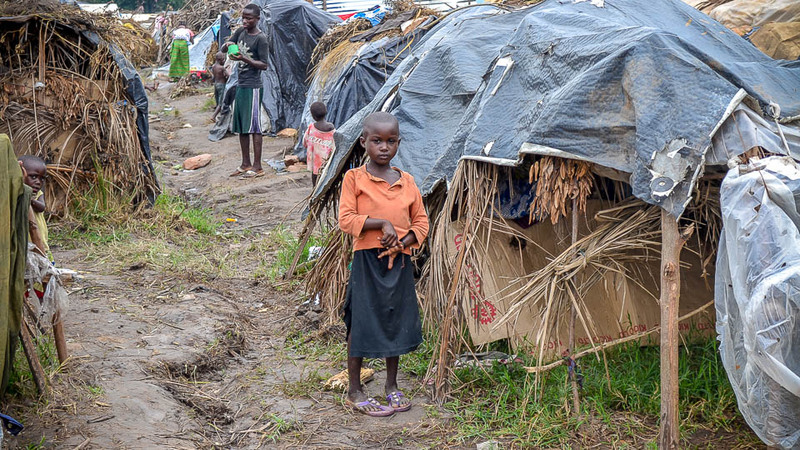 We immediately responded by joining with churches from the Regions Beyond network by sending food to the camp and launching a crisis appeal to provide ongoing support, but the living conditions remained atrocious. 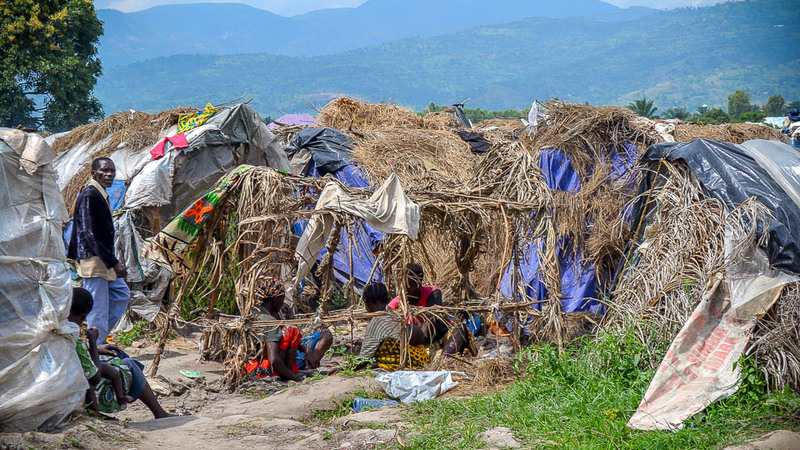 After some months, the Red Cross provided some large dormitory-style tents, which brought some improvement, but in Burundi’s heat and tropical storms, they soon began to disintegrate. Now there are tents within tents as the families have sought to at least keep dry in the torrential rain. 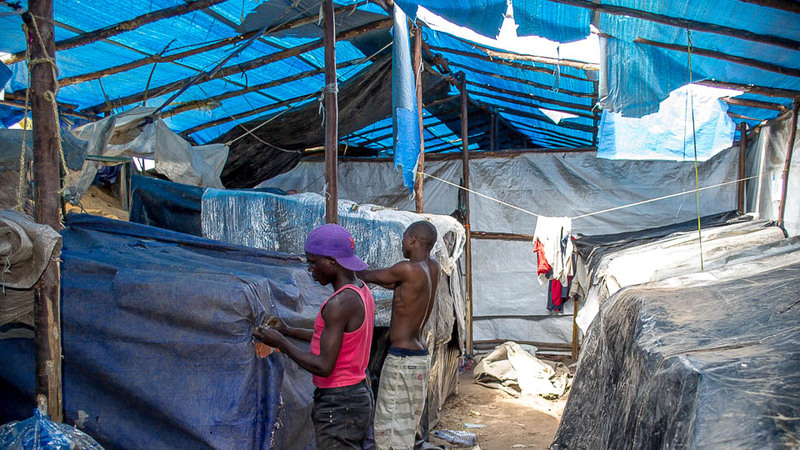 Other families are once living again in shelters built from whatever they could find; bits of cloth, cardboard, plastic and even straw. There is just one water tap for the whole camp and only 5 ‘long-drop’ toilets. Imagine what it must be like living here, day in, day out. We long to see these families have hope again for the future. We are committed to helping them see their dreams come true so they can leave this make-shift community and get homes of their own, but first they will need an income so they can sustain themselves. In the current climate, in the midst of the crisis in Burundi with great instability and insecurity and a collapsing economy, this is not as simple as it sounds. Burundi is one of the poorest nations in the world and our new friends here are among the poorest of the poor. Right now, they need our love and support. 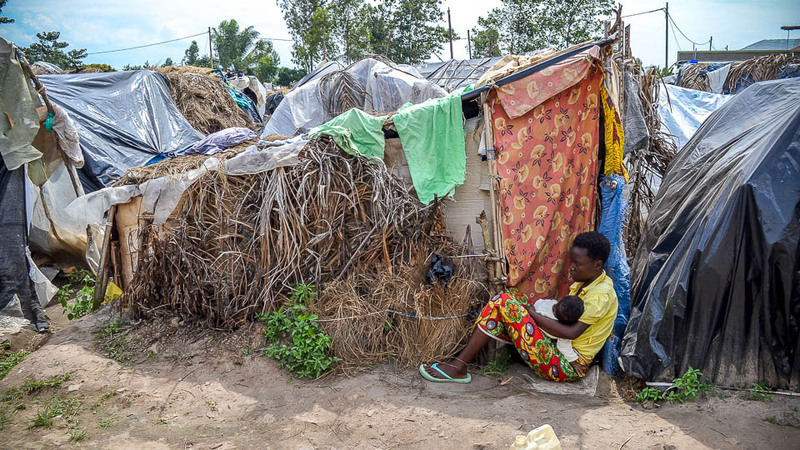 Until such a time as our friends are able to leave the camp and rebuild their lives, we want to do all we can to ensure we help them have life inside the camp; quite literally, life! Of course, the first priority is food. The reality is, without help to get it, they could die. Tragically, some already have. Regions Beyond churches have continued to generously provide food. 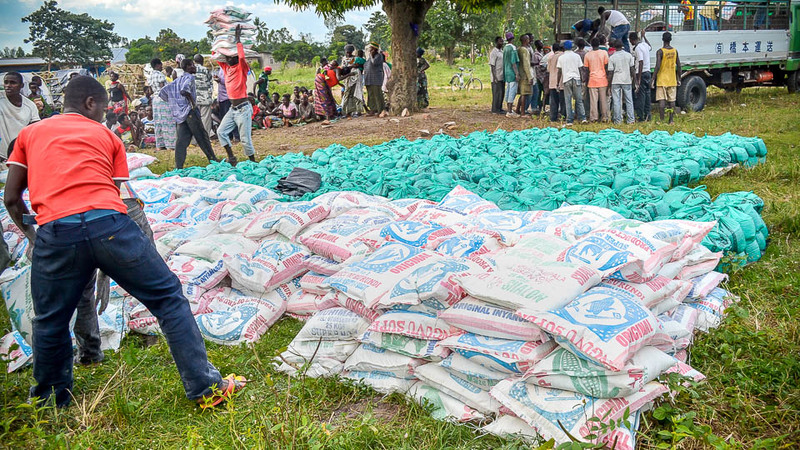 Every 4 – 6 weeks for the past 2 years a sack of maize and a bag of beans has been provided for every family, which is incredible. 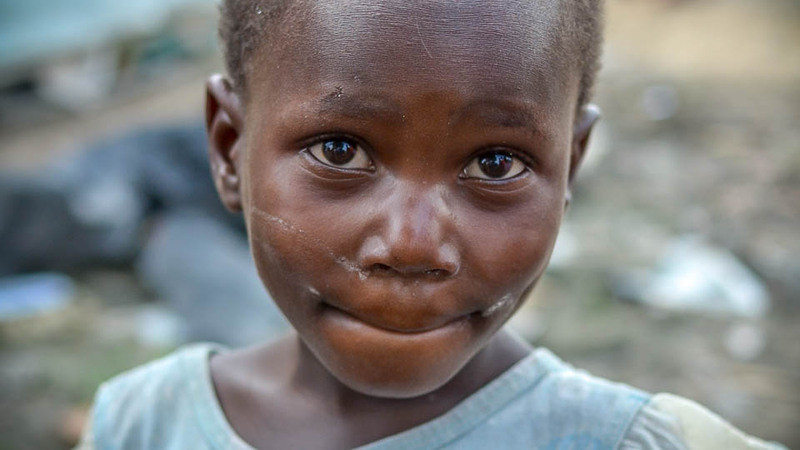 However, this only provides one meal a day, and for the children especially, it’s not enough to provide the nutrition needed for healthy growth and development. One year on, I’m just back from visiting our friends again. I’m delighted to report that I have seen for myself the huge difference this daily supply of milk has made to the children. They look so much healthier, are clearly better nourished and have lots of energy! Thank you to all our supporters who donated so generously so that we could contribute towards the cost of supplying the milk each day. 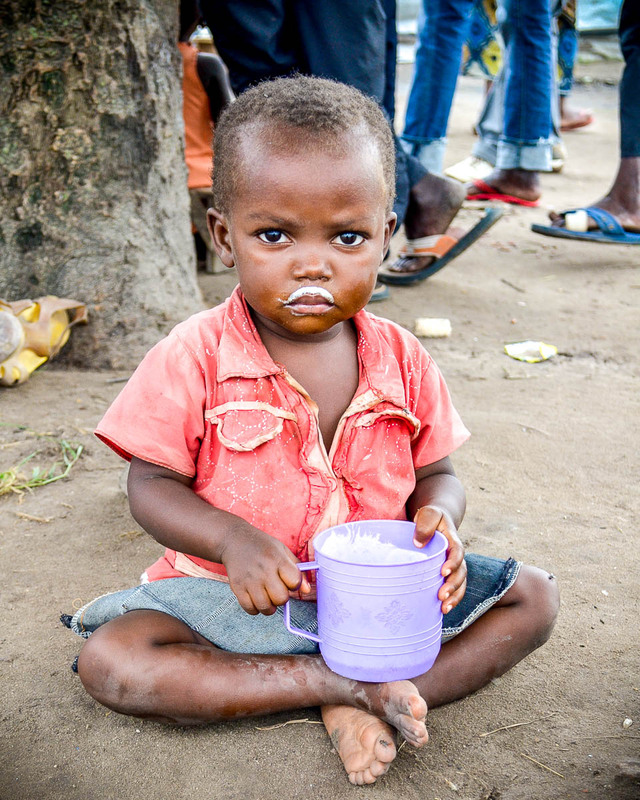 We are now at a point where we are asking for ‘More Please!’ Without the funds to buy the milk each day, this life-changing provision will have to stop. Of course, none of us want to see that happen. Please help! 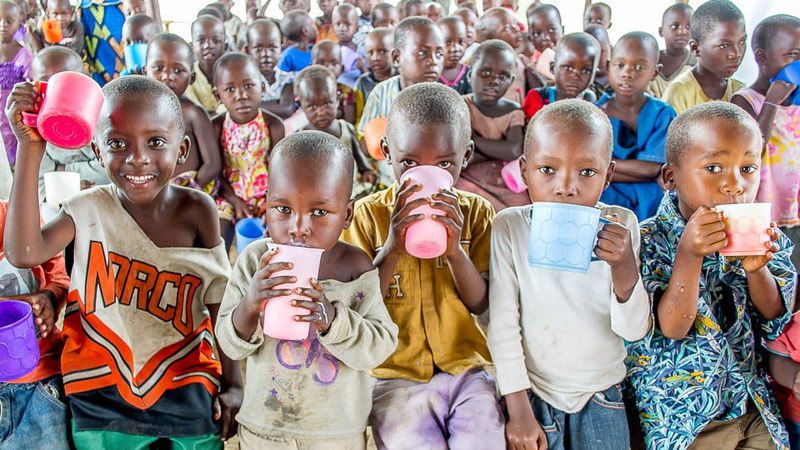 We need just £10 a month, per child, to continue to provide a daily cup of milk. That’s just £10 to prevent stunted growth, malnutrition and all the health-related and developmental issues that come with it. These children deserve better. We believe there is a better future for the children and their families out of the camp, but until that day, please help, please donate to give life. Thank you! 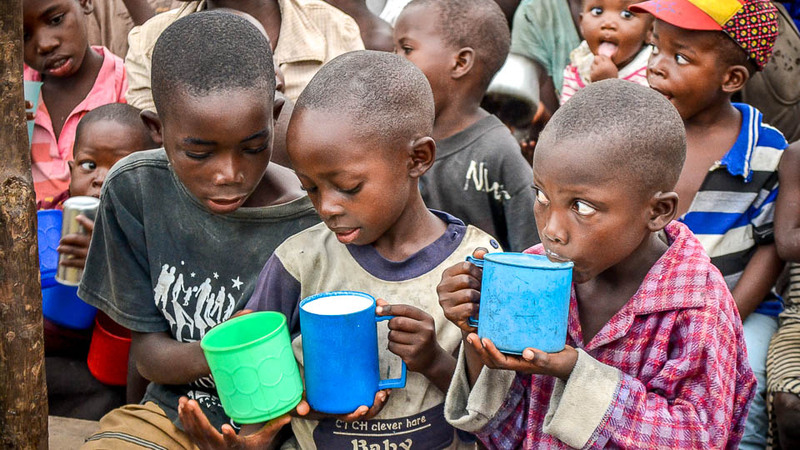 ← Keeping the Milk Flowing in Burundi! Keeping the Milk Flowing in Burundi!